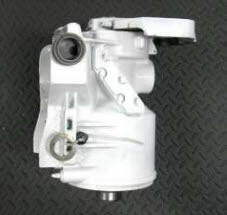 800 (1982 to 1985) comes installed with new OEM gear set. Compatible with the mechanical shift model (Shift cable sold separately), finished in sliver. Available in low or high profile, with left or right handed worm gear / steering (no steering also available). New parts installed (see chart below). Finished in zinc chromate primer with white epoxy or metallic silver lacquer. Unit have rebuilt Gear-head with 3 prop shaft seals installed. Comes installed with swivel bearing retainer and shift wire / cable if needed. 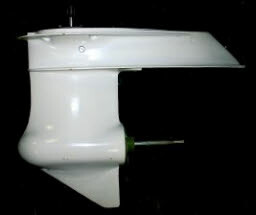 Propeller with pin and cone are also available.